This is the ultimate Alaskan Adventure, suitable for all ages. 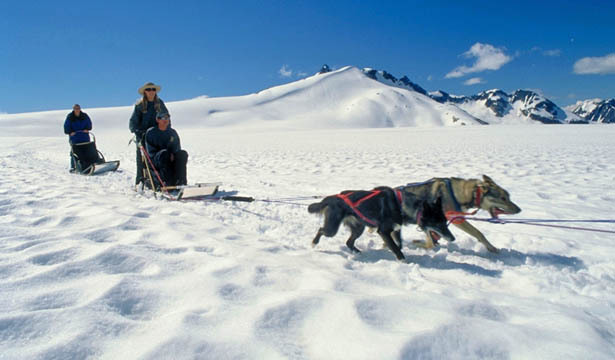 This Skagway Tour includes a helicopter tour to the remote Denver Glacier, where you will be dropped off for your own dog mushing experience on real snow. Snow pack atop the glacier allows for summer-long adventures, where you get to experience the life of an Iditarod musher. This tour includes approximately 25 minutes of flight time on the helicopter, and nearly an hour on the glacier at the mushing camp. Camera, jacket and sunglasses recommended. There will be an additional $100 (+ tax) fee for persons weighing over 250 pounds.